When planning an event, whether it’s a wedding or a corporate function, sometimes you need a venue to accommodate all of your guests. And when searching for a venue, you really want something that’s just as spectacular as it is functional. Because of this, we want to talk about some venues that WOW. With awe-inspiring, jaw-dropping views, and everything you may need to get the party started, here are some of top venues in the New York/New Jersey area that are sure to deliver. Located right on the tip of Fort Handcock in Sandy Hook National Park, the Sand Hook Chapel is perfect for a romantic wedding. 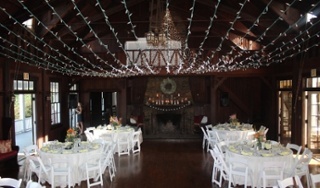 The chapel can accommodate 130 guests and features hardwood floors, high ceilings, and an upstairs loft perfect for a reception or cocktail hour. But what really makes this gem of a chapel stand out is the view! Overlooking Sandy Hook Bay, the chapel provides the best view of The Twin Lights, Mount Mitchell, and surrounding area. It is truly a magical place once the sun sets and all of the lights from the Highlands light up the bay. It is the perfect view for adding that little romantic touch to any wedding. 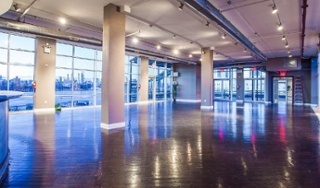 This stunning rooftop venue is located in Williamsburg, Brooklyn and is perfect for a wedding or corporate event. With enough space for 185 guests, it is the ideal location for networking or a reception. Plus it also boasts a unique indoor/outdoor space. With glass walls that give an indoor area and a patio leading out onto the main roof, there is enough space for everyone to be comfortable. And those glass walls make sure not to disturb that stunning view of the Manhattan skyline and waterfront. This view is sure to add elegance and panache to any event. 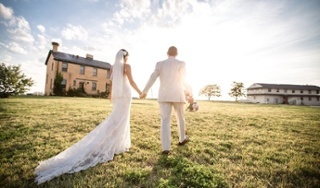 This historic home is the perfect place for any event, especially one with sweeping views of both Manhattan, Sandy Hook, and of course, the Atlantic Ocean. There is no other location that can provide these views, and that’s because the Water-Witch Club is situated on one of the highest points in the area. Boasting enough space for 145 guests, this mansion features turn-of-the-century architecture and charm. The mansion is sure to wow your guests and those views will look spectacular in all of your event photos. Each of these locations has preferred caterers that they work with, and we are proud to say that Jacques Exclusive Caterers are on those lists. And not only can we help cater your event at any of these gorgeous venues, but we can also help you plan your event to perfection. Having specialized in weddings, corporate events, and bar and bat mitzvahs for over thirty years, we know exactly what you need to make your event a stunning success. So check out the venues that we work with and contact us today to get started on your event! Frank brings over 25 years of special event and food/beverage experience to the team.